Go Kart and Drive Only open. Another fabulous PCNSW fun filled day which includes a mini Grand Prix at the Picton Go Kart Track. Starting from Bunning’s Car Park 127 Bath Rd Kirrawee. Meeting time 8.30 am for 9.00 am departure. Come and enjoy some friendly competition at the Picton Go Kart Track (Optional) or simply watch and enjoy a coffee as this will be our comfort stop. There will be a driving session for all drivers, 7 minutes practice session, 14 minutes final session which will also be the championship for the fastest 22 to determine the club go kart champion. On the day you will indulge in traditional wholesome Italian food at the coveted Trattoria La Vigna Restaurant Camden, fantastic driving roads including one of our favourites, the coastal road to Wollongong via the National Park, before heading inland making our way to Picton to enjoy a mini Grand Prix challenge at the Picton Go Kart Track. After we have tested our driving skills we will proceed to Camden via scenic country roads. Go Kart Participation is $60 paid directly to Picton Go Karts but please do a separate registration which is $0 to enable us to determine participation numbers on the day. 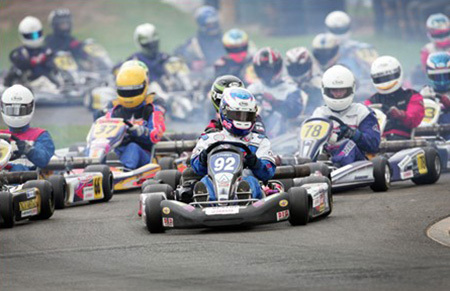 A trophy will be presented to the fastest go kart driver on the day.